RCP is currently providing strategic project management services on the proposed Arts Centre boutique hotel in Christchurch. The proposed hotel will feature up to 33 rooms, integrating the revised Observatory Tower and repaired Townsend Teece telescope. 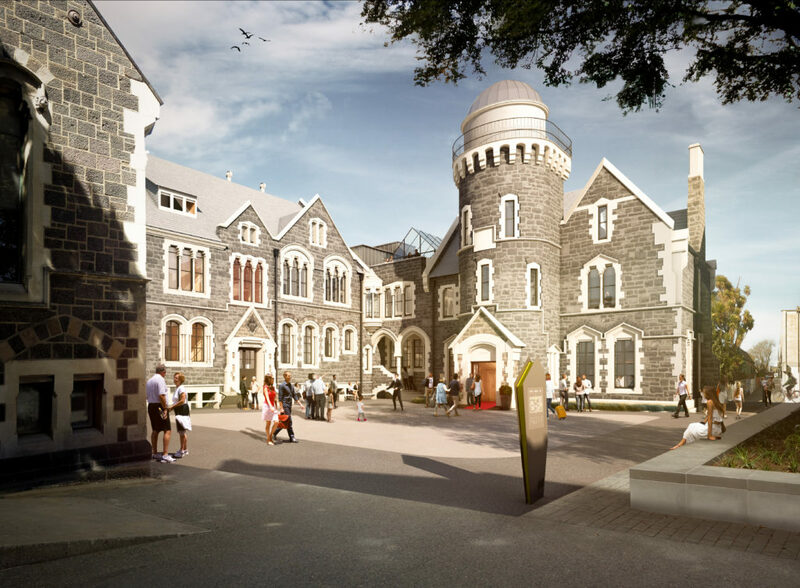 Nestled within NZ’s largest cluster of heritage buildings, the hotel promises to provide guests with a unique visitor experience, with many other complementary uses and activities already open as part of the $230million restoration programme. RCP has managed the feasibility, business case and procurement stages of this project, and should the project progress through this latter stage, will manage the design and delivery phase through to completion.